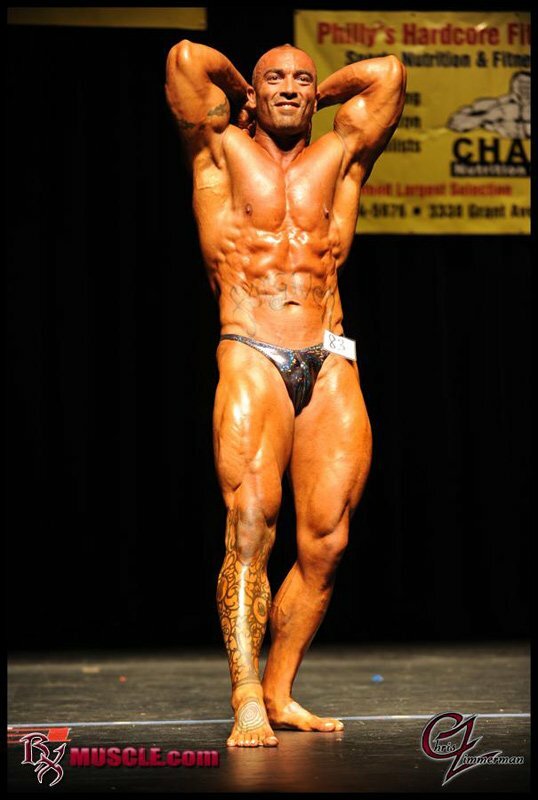 David Johnston Shed Over 70 Pounds And Competed On Stage! David Johnston was overweight for most of his life and wanted to make a change for himself and his family. See how he lost more than 70 pounds and competed! I was overweight my entire life, weighing 10 pounds at birth, and always the biggest kid in my class at school. Childhood obesity runs in my family. I always dreamed of being in great shape, but never really made an attempt until I was 24-years old (2003), at which point I started training and eating like a bodybuilder. In the years since, my weight has gone higher and lower in an attempt to gain muscle mass, and then cutting it down to step on stage or just look good for the summer. Last year, after having our first child and having to effectively double my hours at work, my diet and training fell apart, and I was WAY too heavy, and at WAY too high a body fat percentage to feel good. 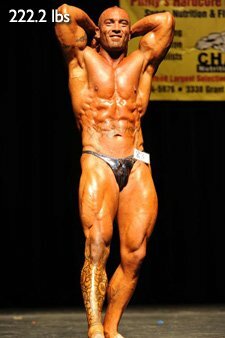 I decided to compete this spring (2010) and get into the best shape of my life. I Decided To Compete And Get Into The Best Shape Of My Life. I began mentally preparing for my contest prep as far back as last September (2009). Knowing that my work schedule is very hectic (sometimes up to 85 hours a week), I invested in a Treadmill for the house, which would allow me to do cardio even while spending time with the newest addition to our family (Raven Storm Johnston, now 14-months old; then, only 4-5 months old). I put a calendar on the wall and counted the weeks backward from the shows I planned on doing. I pre-dated my food journal, numbering out the days starting on January 1st, 2010, all the way through the end of this year. I was so mentally invested in my prep that once I began, it was incredibly simple: I had my vision completely focused, and was willing to endure whatever difficulties lie ahead. A typical contest prep for a bodybuilder usually lasts 12-16 weeks, with 20 weeks being considered "long". For my first show this year (the Philadelphia, in June), I dieted for 26 weeks; and then, an additional 8 weeks for the Maryland State, totaling 32 weeks of incredibly strict and regimented dieting and cardio. It was challenging toward the end, to say the least, but it was all worth it when I won my class at the Maryland State. Wake 7am and perform fasted cardio. Because I work as a personal trainer, I am normally booked solid throughout the evening hours (1-10 p.m.) with clients, thus the need to rely more on protein shakes for meals. I would actually prefer to do all whole food while dieting, as it digests slower and helps keep me full for longer; but my job is busy, on-your-feet, rushing all day long, so you have to make certain concessions. I generally kept training simple, as I am an advocate of fairly low-volume, high-intensity training. Throughout the entire prep, I would train back and shoulders on Monday; quads and hams on Wednesday; and chest, biceps and triceps on Friday. Occasionally, I would train calves and abs on the weekend, but for the most part, stuck only with major body parts throughout my prep, focusing on compound movements, good form, and strength increase. Note: One week start with back, one week start with shoulders. One week start with quads, one week start with hamstrings. Throughout the course of the diet, I slowly increased my cardio output, starting with fairly low-intensity walking and increasing the frequency, the duration and the intensity over the course of the 32 weeks. During the first 4 weeks of the diet, I only performed 3 30-minute sessions per week, typically walking on the Treadmill around 3 mph, working the incline higher over the course of the 30 minutes, usually to a peak of 11% (no holding on). I tried to increase my intensity slightly every two weeks, but tried to not take my heart rate much over 150 bpm, on average, since I was doing cardio in a fasted state and wanted to avoid burning muscle tissue. Having a treadmill at home, I used incline treadmill as my main cardio aparatus throughout most of my prep (usually about 4 days per week), but whenever possible, I would use the stair mill at the gym (usually 2-3 days per week), as it is my prefered and favorite method of cardio. (I think it actually helps you keep size in your legs, especially your glutes and quads). The next 4 weeks of the diet, I increased cardio to 4 days per week, 40 minutes. Then two weeks of 5 days per week, 40 minutes. Then two weeks of 5 days per week, 50 minutes. Then up to 6 days per week, 60 minutes, which was my max cardio throughout the majority of my prep. I did 60 minutes every morning, fasted, throughout the majority of my prep. During the last 6 weeks leading up to the Philly, and the 8 weeks in between the Philly and the Maryland, my conditioning improved so much from all of the cardio that I had to start doing harder intervals in order to increase heart rate. I am not a fan of running, so I would normally just keep the treadmill at a 15% incline, 3mph, for the whole session. At this point, I tried doing the stairs whenever possible, and would normally start on level 4 to warm-up, and interval up to roughly level 9-or-10 for 5-minute blocks, or until my legs gave out. I never truly attempted HIIT cardio, but towards the end of my prep, it was approaching that. My main advice to others is simply to prioritize, be serious about achieving your goals, and don&apos;t hold back. So many people approach life at 50%, and that&apos;s simply not going to get you there. I know, because I was a fat kid my entire life - I never played sports, and was always somewhat embarrassed by my body. I tried to get into fitness a few times during my teens and college years, but again, never went 100% at it. Be Serious About Achieving Your Goals And Don&apos;t Hold Back. It wasn&apos;t until I educated myself through reading a LOT of free materials (most of it at www.bodybuilding.com!) I started to see the big picture - how the diet, training, and cardio all have to tie together to help you achieve your goals. And now, working with personal training clients all day long, it has become a crucial part of my career to help pass on this education, along with the motivation needed to turn goals into reality. In this day and age, there is simply too much free information out there to have an excuse. Websites like Bodybuilding.com provide everything you need, if you are willing to put in some of the work. I have started trying to pay it back by offering up my own motivational writing, http://davidjohnstontraining.com/category/emotional-fuel/ as well as working with clients one on one http://davidjohnstontraining.com/personal-training-columbia-md. Most importantly, as mentioned above: don&apos;t hold back. So many people come to the gym with preconceived notions (fabrications, really) and excuses, and have already set themselves up for failure: "I&apos;m old", "I&apos;m out of shape", "My job is too demanding", etc. Bottom line: if you really want it, all you have to do is make the decision-SERIOUSLY make the decision-and it will follow. Be willing to suffer through ANY pain to get there, at least for a little while, because it will get easier-and believe it or not, you will actually start to enjoy it. But intelligent approach (education) plus intensity (motivation) plus persistence (consistency over time) are a winning formula that will work for anybody. There are no gimmicks or shortcuts. My diet and training are simple as could be-I just make sure to never miss a meal, never miss a day, and leave my guts on the floor after every single session.